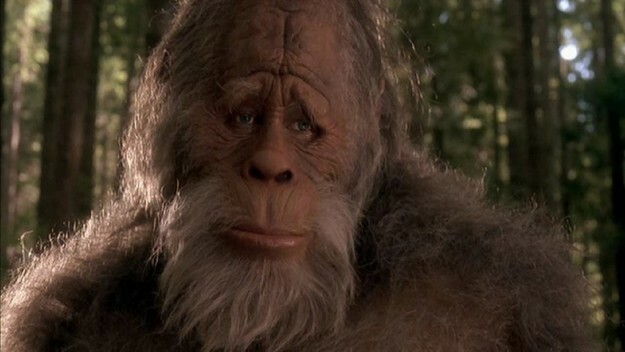 As we all know, Bigfoot is a cosmopolitan citizen of the world. But for some reason very few people can imagine him living in Texas. This, however, is a major misconception. According to the Texas Bigfoot Research Conservancy he (or she) sometimes hangs out close to where I live. Their files hold the report of a September 2006 encounter between Sasquatch and one of my fellow Texans. Back then at least, the mysterious creature was spending his time in the swamp behind the Addicks Flood Control Reservoir. The anonymous witness was taking an early morning ride along the reservoir bike trail with his wife and son, he suddenly saw a big, hairy monstrosity resting in a pipeline crossing. He also reports that Sasquatch was very stinky. The Bigfoot Conservancy made a detailed study of the event and were converted from initial skeptics (it is next to the thriving metropolis of Conglomeration, Texas, after all) to true believers. Now, in April of last year torrential rainstorms filled Bigfoot's possible marshy home to overflowing, possibly endangering him and any family he may have. There have been no reports of man-ape corpses being discovered or of any Sasquatch home invasions. We can only hope that Bigfoot made it to high ground and lives today in more hospitable surroundings.